The tech category is a tough one. In classic Games of Thrones style, Google, Apple, Amazon, and Facebook have all been eyeing the Iron Throne – which, in this case, represents the first of these players to break the barrier of that elusive one trillion market cap (…yes, that’s a 1 with 12 zeros). Apple and Amazon just did it, but the others are keen to follow suit. Don’t underestimate Microsoft in the race to the finish line. The brand has ambition. 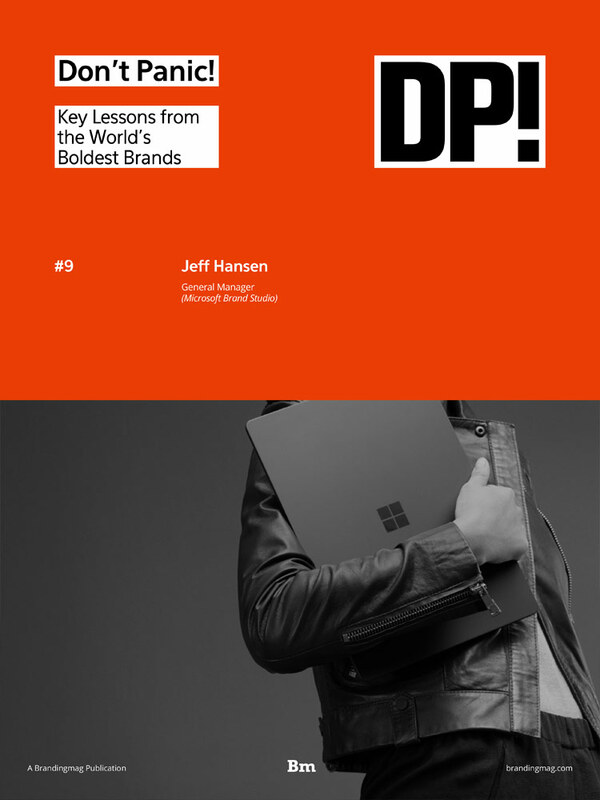 Dominik Prinz sat down with its General Manager of Brand, Jeff Hansen, to learn how the combination of new products, a seamless brand experience, authentic storytelling, and a relentless focus on customer-centricity is meant to empower us to live our best lives. Interested in learning more? Download the latest Don't Panic! interview here.